Writing for a specific audience can be really tough. Even when you’ve chosen an ideal audience, you may struggle to write stories or content that resonates with them. It’s difficult for us to remember not knowing the things we now know. Cognitive scientists call this the Curse of Knowledge – and it’s more prevalent than you may realize. When you imagine your ideal audience and try to take their perspective, you are still stuck in your own head. You may assume that someone knows more about your subject area than they do, or that they can follow your mental processes through a complex sentence. Even if you’re writing for people just like yourself, your readers aren’t inside your head. 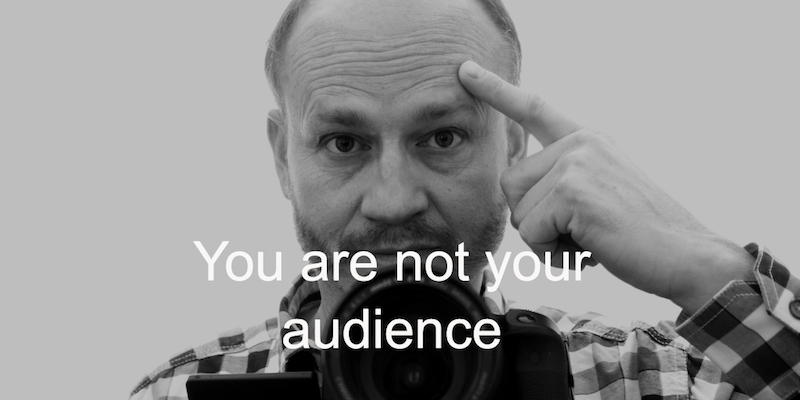 You are not your audience. We are social creatures with a strong need to conform to our peer groups. So, we tend to write for the people we are surrounded with. Think about this for a moment. Who do you spend time with? When you write in an office setting, you’ll tend to write in a way that fits with the speech and thought patterns of those around you. If your coworkers use terminology or jargon, you’ll feel a pull to include those same words in your writing. That’s fine, as long as you are surrounded by people who fit the general profile of your target audience. The more empathetic we are, the more we mirror those around us. Local empathy can get us in trouble if we’re writing for a different audience. 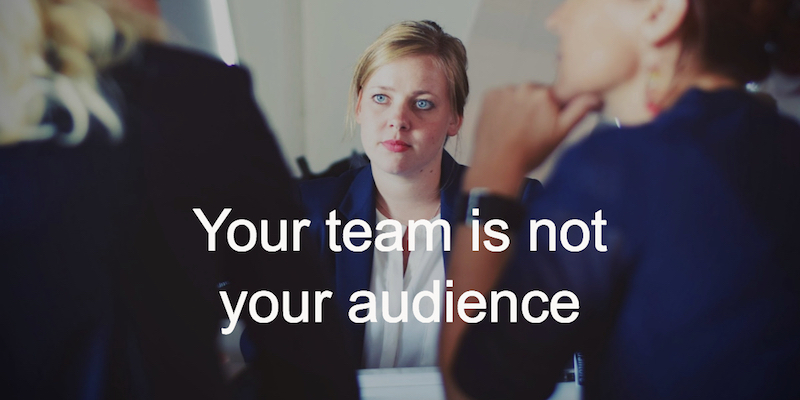 Unless you’re selling products or services to people who approximate your teammates, you’ve got to think outside your peer group. 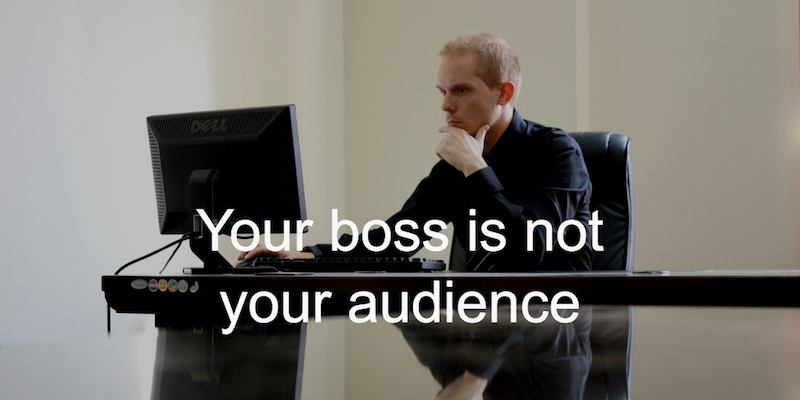 Sometimes, the audience isn’t the one appraising your performance or paying the bills. This problem is most acute in the workplace. Who does performance reviews? Your manager. If you’re submitting a book proposal, who signs off? The publisher. If you’re a freelance writer, who pays your invoices? That’s right, the client. When writing, it’s natural to want to impress the people who hold your financial future in their hands. 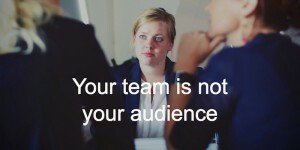 Your management is not your audience. What can we do about these forces conspiring against us – or more specifically, against the readers’ interests? Understand that these forces are in play, and then set up processes to protect your writing. When planning and outlining, include the target audience in your planning process. Envision specific readers from the audience when drafting (particularly nonfiction). When revising, try reading your piece out loud as if you were addressing the ideal reader. If something seems awkward, rework it. Specifically, hunt out any jargon or industry terminology, and see if you can rephrase it. Actively seek reviews from the target audience. If possible, find someone who can stand in for the ideal reader. If you’re circulating a piece to other people in the workplace (like your manager), remind them about the objective of the piece and the audience. Don’t send a review copy out without a description of the target audience at the beginning. When you start writing effective copy, people will notice. Track the metrics for your content (downloads, shares, or other available data), and use that to influence the people you need to impress. Want to know more about using process to protect the reader? Check out The Workplace Writer’s Process.